Camilla also wore familiar pieces: her diamond and pearl earrings, plus one of the glitziest of her pearl chokers, with its elaborate diamond clasp. 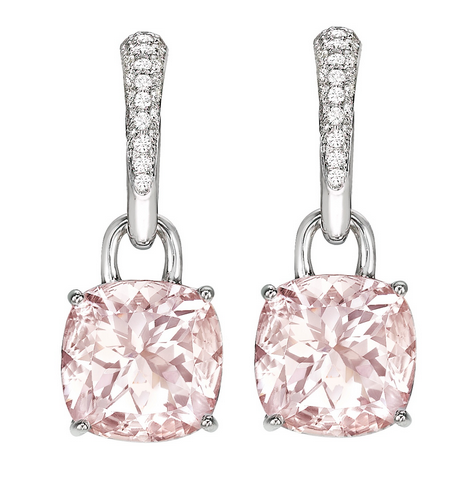 The earrings are currently out of stock, but they retail for £3,400. They were, of course, a great choice for pairing with Kate's pale pink Alexander McQueen coat ... but since they're new, should I also carefully suggest that they'd have been a great present for a woman who discovered that she's expecting a daughter?